Institutional interest in farmland investments is rising around the world as several trends combine to boost the appeal of the sector. At this time of heightened stock and bond market volatility, institutional investors globally are considering real asset alternatives. With interest rates also rising in the US, investors are seeking asset classes that have the potential to outperform in volatile or slower growth environments. Farmland has a track record of delivering attractive risk adjusted returns that have low to negative correlation with traditional asset classes. Farmland returns are very much driven by fundamentals. Most of the food and fiber grown on farms is a basic human need, so its pricing tends to be inelastic. In other words, whether an economy is growing or shrinking, the demand profile for food and agricultural products doesn’t tend to move all that greatly. Furthermore, several long-term trends are combining to ensure that demand will continue to grow. Population growth over the next 20-30 years will be the main driver of demand for agricultural products and, by extension, for farmland. According to the United Nations (UN), the global population will grow from 7.6 billion in 2017 to over 9.7 billion in 2050. To support this growth, demand for agricultural products will rise significantly. For instance, the UN Food and Agricultural Organization (FAO) predicts that global demand for cereals will rise by 54 per cent between 2005 and 2080. Meanwhile, economic expansion has led to the emergence of robust middle classes, which in turn is having a major impact on consumption patterns. China’s per capita consumption of meat and fish is expected to grow by 13 per cent a year over the next decade, with India’s growing by 12 per cent. The number of people globally consuming less than 2,500 kilocalories (10,460 kilojoules) per day is forecast to drop from 35 per cent today to 3 per cent by 2050. This translates into 165 per cent and 63 per cent growth in meat and cereal consumption by 2100, respectively. On the supply side, there are many challenges, including the finite availability of high quality, uncultivated arable land, environmental degradation, declining marginal yield productivity and increasing volatility of supply due to climatic shifts and corresponding weather events. Currently, supply is not expected to meet demand. The result is a supply-demand imbalance that stands to financially benefit well-positioned, long-term investors in the agricultural supply chain. In line with the global trend, institutional investors in Australia are showing rising interest in the sector as they look to increasingly diversify into overseas markets and alternative asset classes. Nuveen manages US$8.2 billion in farmland assets around the world, and one of the questions we often get asked is how we manage extreme weather risk, especially in the context of climate change. In Australia, the impact of extreme weather is fresh in the minds of investors as parts of northern Queensland reel from devastating floods and NSW experiences significant drought. Our approach to these inherent risks within agriculture is two-fold. Firstly, we take a global approach, investing in various markets globally as well as across regions within countries, to mitigate localized weather risk. Secondly, we mitigate direct operating risk through a buy and lease model for annual, broad-acre crops, where we work with tenants and operators who take the annual risk and reward of crop production and crop prices. Given we invest with a 10 to 20 year investment horizon, sustainability is integral to what we do, from due diligence through to asset management. Globally, the industry is innovating with improved farming practices and new technologies that reduce the use of water, fertilizers and chemicals, and increase their impact on crops. Understanding the new technologies and innovative practices increasing sustainability in the sector is critical for investors because it drives the profitability of farms, thereby indirectly improving their land value over time. Around the world, we are fortunate to work in partnership with innovative and thoughtful farmers who are revolutionizing their businesses and creating best practices that can inform innovations across our farmland portfolio. In Queensland, for instance, we own a cotton farm that uses bankless channel irrigation across about 25 per cent of its irrigation area. This practice involves leveling of soil in a pattern that allows water to be applied to crops in larger volumes over shorter periods with less runoff – reducing labour and machinery costs and increasing crop productivity. On our almond farms in California, we use aerial imaging technology to understand and manage the nutrient status, tree health, and irrigation needs of the orchards. This saves money and reduces water, fertilizer, and chemical use – a win-win. While sustainability practices are becoming more advanced in farmland and increasingly widely adopted, they aren’t standardized across the sector. There are great initiatives underway in specific parts of the industry to introduce standardization on a local level, such as the Round Table for Responsible Soy, primarily in Brazil, and the Better Cotton Initiative in Brazil and Australia, which has helped Australia’s cotton industry reach a 90 per cent reduction in chemical usage, and a 40 per cent reduction in water use, between 1997 and 2014. However, sustainability practices in the farmland sector remain diffuse compared to the timberland industry, for instance, which has a number of well-regarded global standards including the Forest Stewardship Council (FSC) and Sustainable Forestry Initiative (SFI) certification. Eventually we believe the farmland sector will achieve this level of global standardization as more and more investors enter the space. In the meantime, it is important for investors to have the support of an experienced asset manager to guide investment in the area and also to bring their knowledge of local markets and farming practices. Farmland investing is a fundamental way to benefit from growing worldwide demand for food. It is emerging as a compelling investment option for institutions, with a low correlation to traditional asset classes and the potential to increase the overall risk return of a diversified portfolio. However, an awareness of technology and sustainable practices is key to achieving the best possible returns. 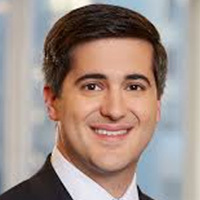 Justin “Biff” Ourso, head of real assets at Nuveen, the investment management arm of TIAA.